For the past 13 years, Elite Personal Training Studio has created an unparalleled customer experience that engages our clients in their fitness & wellbeing, delivering transformative & lasting results. Elite personal training is all about one-on-one personal training, nutrition and fitness coaching. We have 5 fully equipped private gym studios to train in. During training sessions, we give our clients complete undivided attention to their work out, nutrition and their goals. Everything at Elite is personalized for each client based on their unique needs. We ensure success through accountability, consistent follow ups and goal tracking with your personal fitness coach. We believe Elite is the most accepting and supportive training environment in London. 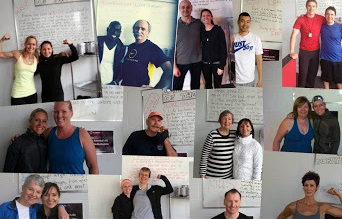 Elite personal training is for anyone and everyone. We are friendly, caring and supportive and we really want to help you meet your goals. Nothing is more satisfying to us than seeing a client work hard and reach their goals. Fitness and personal care can be life changing and we always feel privileged to be a part of that journey. We offer free consultations, cardio equipment, fitness/goal assessments and are here to help you in anyway we can.. REACHING YOUR GOALS NEVER FELT THIS GOOD! At Elite, we believe that providing our clients with a premium customer service experience is vital to keeping them engaged & on track to reaching their goals. Combining high-quality training with first-class service, our 3500 sq.-ft. state-of-the-art fitness & nutrition facility not only addresses every client’s overall health, nutrition & fitness needs, but far exceeds all their service needs!